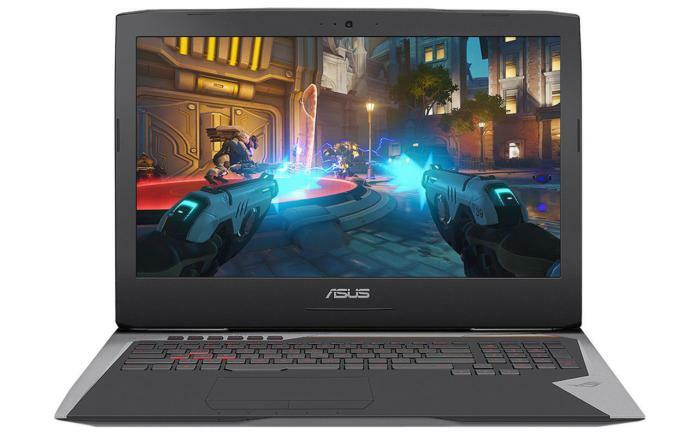 If you're looking for a new gaming laptop, Newegg has an interesting deal for an 17.3-inch Asus ROG laptop. It’s Thursday, February 23, 2017 and until one minute before midnight tonight Pacific time, Newegg has a pretty good sale on PCs, monitors, and printers. There are a number of deals available, but what caught our eye was an Asus ROG G752 gaming laptop with all the trimmings for $1,500. The ASUS ROG G752VY-DH72 features a 17.3-inch IPS display with 1080p resolution, a quad-core 2.6GHz Intel “Skylake” Core i7-6700HQ with HyperThreading, and 32GB RAM. If you need more RAM, this laptop supports up to 64GB worth of memory across four slots. For storage, there’s a 1TB hard drive and a 256GB NVMe SSD. Graphics, meanwhile, are handled by Nvidia’s GeForce GTX 980M. This laptop also comes loaded with dedicated cooling modules for the CPU and GPU, a backlit anti-ghosting keyboard, and Thunderbolt 3. It is heavy, though—all that powerful hardware in a clamshell case brings the total weight close to 10 pounds. In case you’re wondering: Yes, this machine does sport a last-gen GPU. 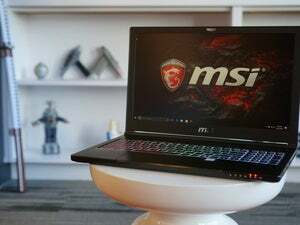 And yes, it’s true that you can get a slimmer and lighter laptop with a better GPU for about the same price (like MSI’s GS63VR). However, this Asus laptop still has its charms. You get a big screen, generous amount of RAM, and easy access for DIY memory and storage upgrades. If you’re not in the market for a new gaming laptop, Newegg is also selling two 8GB modules of Corsair Vengeance LED DDR4 desktop RAM for $105 instead of the usual $128—remember RAM prices are only expected to go up over the next few months. Newegg is also selling an Asus C300SA Chromebook with an Intel Celeron N3060 for $210—and good news, it’s on the list for Android app support.